This event was available from Tuesday, May 8, 2018 12:00 AM until the event start date. A recent increase in high-profile, racially-charged conflict has led well-meaning people to wonder what they can do to help alleviate racial tension in our churches, communities, and country. For one day, churches across the Nation will open their doors, partnering with other churches in the community to be a gathering place for conversation, learning, & healing. Pastor and Author Miles McPherson will offer guidance on this issue, by identifying, the cultural influences that shape our attitudes on race, and explaining why we must honor the priceless value of God’s image in all people. Pastor Miles has first-hand knowledge of the importance of racial reconciliation. 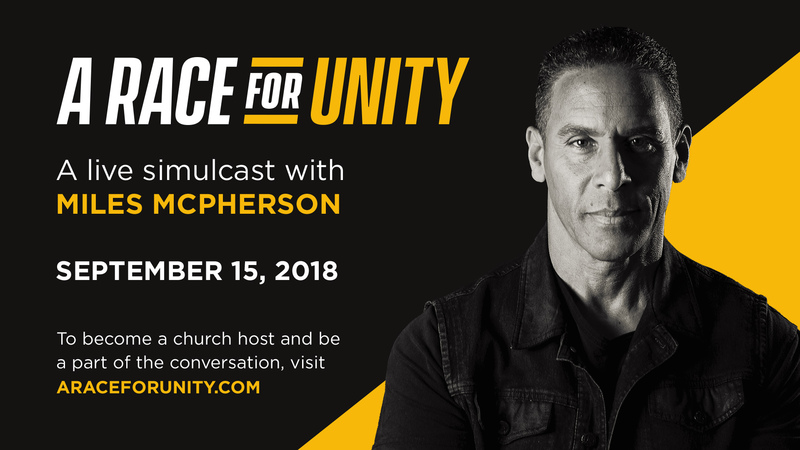 As a multi-racial man, former NFL player, and Senior Pastor of one of America’s most diverse churches, Pastor Miles has personally experienced racism, and witnessed its devastating effects on the community. Pastor Miles will share what he’s learned about the healing power of God, and its ability to unite racially diverse communities, through God’s principle of Honor. He will elaborate on this Biblical principle, and will be joined by other pastors, as we learn together about the healing power of the Third Option. Identify racial "blind spots" that prevent us from honoring the image of God in others. Offer advice on how to identify & overcome racism in our hearts. Suggest practical ways to develop cross-cultural competency. Provide ideas on how to initiate meaningful conversations on race within and beyond the walls of the church. Help attendees develop personal accountability in living lives that honor the image of God in others. Hear the invitation from Pastor Miles here. Share it with your family, friends, and co-workers and invite them today.